I'm quite excited to be a guest on American Patchwork and Quilting's podcast with hostess Pat Sloan today! 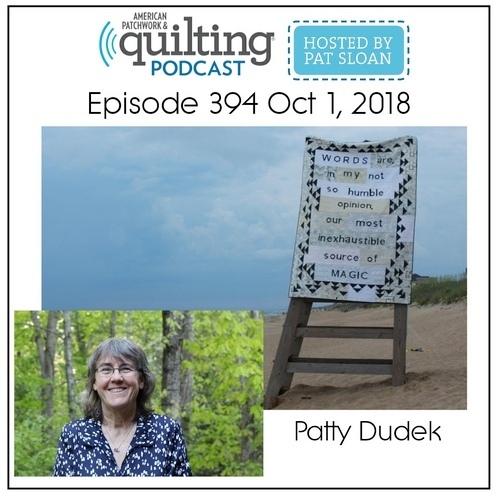 It will be fun to talk about all things quilting with Pat. You can listen to episode 394 live at 4 pm today (Monday) or download it from iTunes Find more information about today's episode and past episodes on Pat's site. 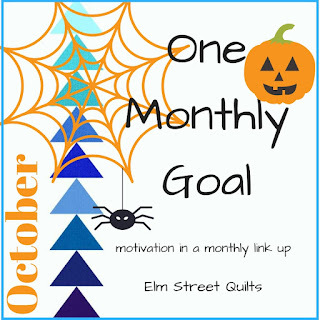 Looking for the October One Monthly Goal link-up? You can find it here! Congratulations, Patty! How fun and exciting! Wow, congrats, Patty! I can't wait to listen! I look forward to listen. I always enjoy Pat's pod casts. I've gotten behind though, but will definitely listen tonight! Fun interview with Pat! Congrats for being on her show! Patty, I really enjoyed listening to you on Pat's podcast. Love all the tips about getting things done. I'm a "squirrel" for now...starting to cross those cutesy things off my list tho. Thank you . Hand Pieced QAL - What's in my Sewing Bag?